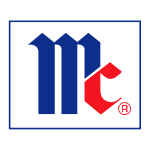 Legal news for product liability attorneys – Maryland based-McCormick announces recall of seasoning packets that contain undeclared wheat and milk ingredients. Undeclared wheat and milk products in seasoning mix can cause serious allergic reactions. Spraks, MD (www.NewYorkInjuryNews.com) – On Wednesday, April 7, 2010, Maryland based McCormick and Company, Incorporated announced a voluntary recall of McCormick Fajitas Seasoning Mix, as reported by U.S. Food and Drug Administration, (FDA) www.fda.gov. The packages contain undeclared wheat and/or milk products, which can cause serious or life threatening allergic reactions if consumed. The seasoning mix, with UPC Code 5210002121 and “BEST BY” dates of JAN 16 12 AH and JAN 16 12 CH, comes in 1.12 oz. pouches. The date code is found printed in black on the back and bottom of the pouch. The packages were distributed to grocery stores nationwide. The recall was called into action after it was discovered that the seasoning was mispackaged, and as a result, the ingredient statement on the package did not list the wheat and milk as ingredients. No other Mccormick product is involved in the recall and there have been no reports of illnesses or allergic reactions as of April 7, 2010. All supermarkets that sell McCormick Fajitas Seasoning Mix packages were notified of the blunder and told to remove the affected product immediately. Consumers are recommended to not return the product to the place of purchase, but instead contact McCormick’s Consumer Affairs team at (800) 632-5847, Monday through Friday from 9:30 a.m. to 9 p.m., or on Saturday and Sunday from 11 a.m. to 7 p.m. ET. McCormick will replace or grant a full refund upon the inquiry and advise consumers what to do with the affected product. McCormick and Company announced the recall in accordance with the Food and Drug Administration. The company also issued an alert through the Food Allergy and Anaphylaxis Network.